"Come to sweat or stay home"
Discover The Sweatbox Adult Boxing Program in Davie, That Burns Twice The Fat, Gets You Fit And Challenges Your Body Every Time You Step Through Our Doors. Considered by most in the community as the number one fitness and fat loss workout program that gets you in the best shape of your life – guaranteed. Sweatbox Adult Boxing Program’s Unstoppable Fitness Formula workouts are designed to shed your unwanted body fat in the shortest amount of time possible while giving you maximum results under the supervision of the most qualified personal trainers. 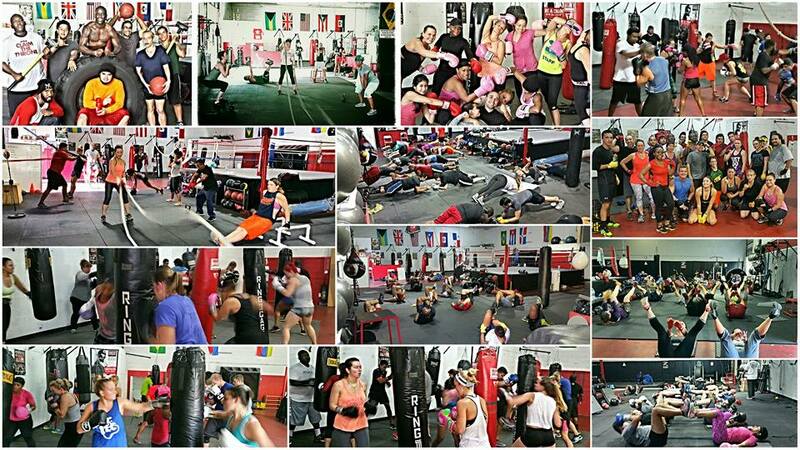 What Is Adult Boxing Program? Sweatbox’s Adult Boxing Program is a results driven and energetic fitness and fat loss Boxing workout program that includes motivation, accountability and dynamic resistance training; all designed to get you the body that you want in a safe, fun and non-intimidating atmosphere. Every workout session is led by an experienced trainer and is designed to be fun, supportive and challenging, while burning maximum fat, in minimum time. Personalization is key to getting the best possible results, which is why our workout programs are modified to fit your goals and individual fitness level. into the best shape of your life!